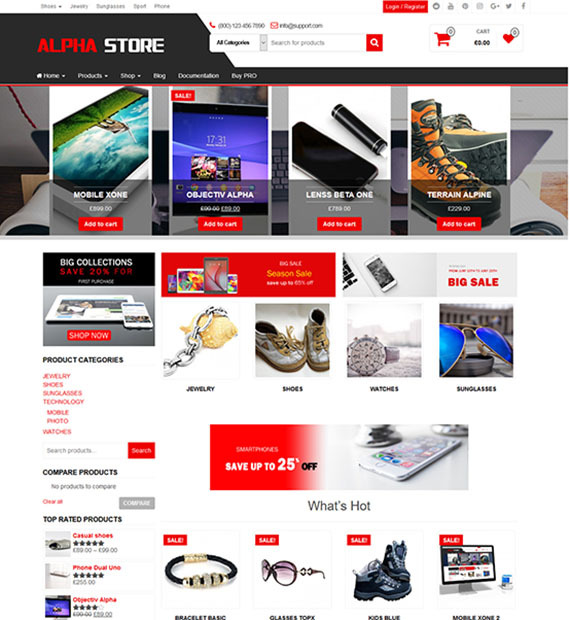 Alpha Store is a powerful WordPress eCommerce theme by Themes4WP. The theme features deeper integration with the WooCommerce plugin which makes it a great template for building an eCommerce site. Built on Bootstrap and CSS3 platform, it is fully responsive, lightweight and fast loading. Furthermore, it features two menu locations, page builder support, social icons, shop by category, left or right sidebars, footer widget area, WooCommerce shortcodes etc. It has a flexible and beautiful design which also offers you more design options with its child theme Gama Store. Add to the functionality of WooCommerce with the shortcodes available. Create the efficient and beautiful eCommerce site in no time.